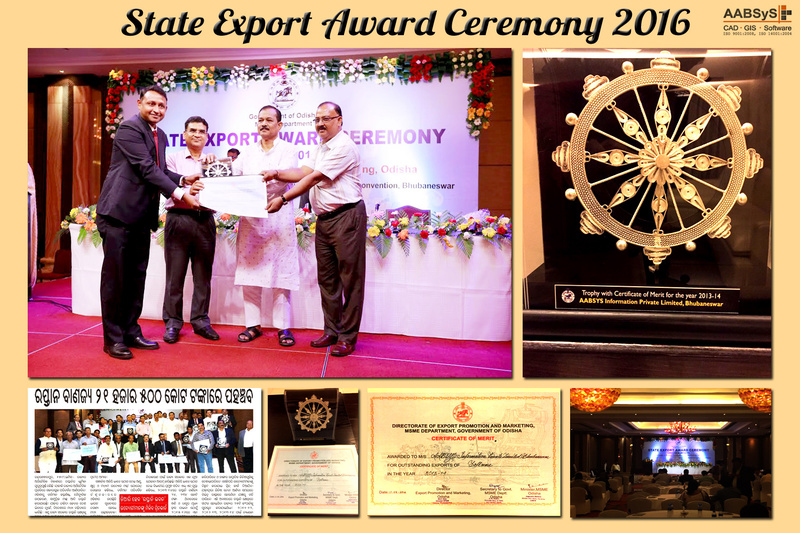 AABSyS Information Technology Private Limited, a premium GIS, CAD and software services company in India, has been felicitated at the State Export Awards 2013-14. AABSyS IT, India’s leading provider of GIS, CAD and application software services has been awarded the State Exporter Award for the year 2013-14 ,under software category, at a ceremony organized by the Directorate of Export Promotion and Marketing on 17th Sep 2016, at Mayfair Convention, Bhubaneswar. For AABSyS IT, CEO & Director Mr Arun Patnaik had received the award from Shri Pradip Kumar Amant, Hon’ble Minister, Finance, Public Enterprises, Govt of Odisha in the presence of Shri Jogendra Behera, Hon’ble Minister, MSME, PG & PA, Govt. of Odisha, and Shri L.N. Gupta, IAS, Principal Secretary, MSME Dept. Govt. of Odisha. The award comprises a trophy and certificate of merit. The Award is being bestowed on AABSyS in recognition and encouragement of the company’s contribution towards Odisha’s economy. The Export Awards intent to promote exports from the state and to create a spirit of competitiveness among the exporters of Odisha. 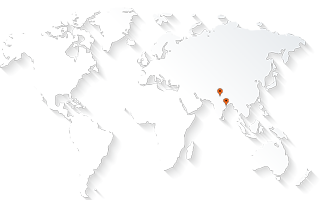 AABSyS is a leading provider of GIS, CAD and application software services to customers worldwide. The company brings together deep domain expertise, talented personnel and 18 years of experience to meet a variety of customer needs in geospatial and IT services. The company has a state-of-the-art infrastructure and world-class facility at Infocity, Bhubaneswar and maintains a highly successful track record of working with an impressive set of national and international companies.